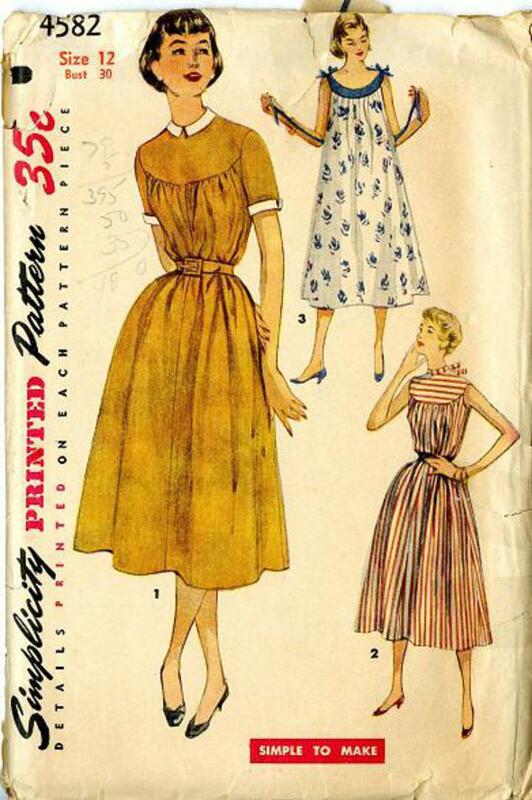 1954 Simplicity #4582 vintage sewing pattern, junior misses' one-piece dress, muu muu, or nightgown. 'Simple to Make' dress is gathered to a yoke at front and back. View 1 has short sleeves with contrasting collar and cuffs. Sleeveless dress, has stand up collar with tie ends. View 3 is sleeveless, has low neckline and bow ties at shoulder.